PokerStars Casino: up to $100 match bonus, Free Spins and $1000 cash over 5 days! 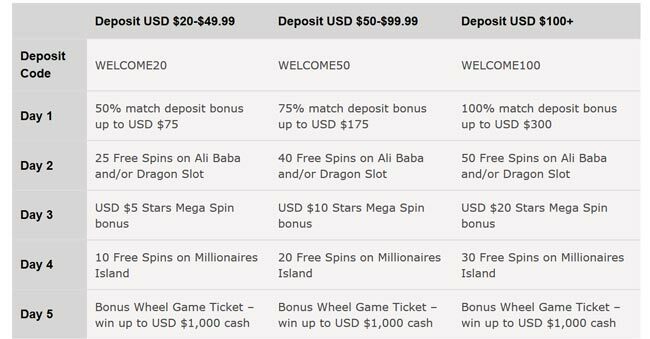 A new Welcome Bonus is available at PokerStars Casino! Join the leading UK Casino via this page and get 5 days of rewards including Free Spins, a shot at $1 Million & up to $1,000 cash! All new PokerStars Casino customers registering through BetAndSkill will get a triple bonus: 100% on your first deposit, free spins for a progressive jackpot and $1,000 cash over the next few days! 2.Create you PokerStars Casino account via our special links. 4. You will get a up to a 100% match bonus to play on every PokerStars Casino game! 5. Over the next four days you will receive daily rewards including Free Spins on selected video slots (including Ali Baba and Dragon Slot), a chance to win a millionaire Progressive Jackpot Slot bonus, extra Free Spins and finally the chance to win up to USD $1,000 cash. 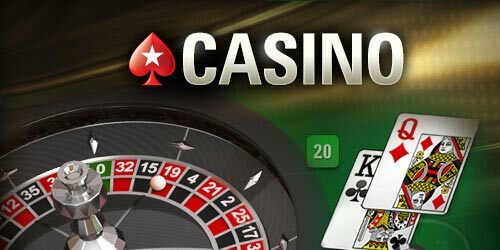 Play exciting games like Roulette, Blackjack and Live Casino at PokerStars Casino, the brand new online casino launched by the world leading poker firm. You can play PokerStars Casino games on-the-move with the app, available for download on iOS and Android. Download PokerStars Casino now and join the action in minutes! Minimum deposit $20, maximum bonus awarded $300 (which includes the initial deposit). Any deposit above $150 will be deposited into cash balance. QIWI and QIWI Wallet depositors are not eligible for this promotion. Match deposit bonuses will be issued instantly upon qualifying deposit. Each daily reward will be available on or before 23:59 GMT on the respective day. Three points for every $1 bonus are required in order to withdrawn the winnings. "PokerStars Casino: up to $100 match bonus, Free Spins and $1000 cash over 5 days!"